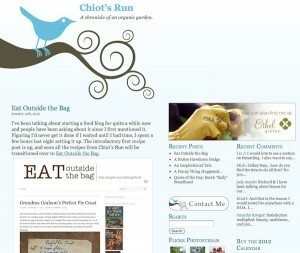 I started this blog as a place to put all my recipes and food related posts from Chiot’s Run. 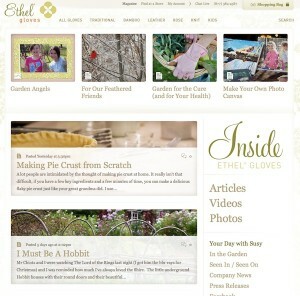 You’ll find recipes, links to articles, how-to’s, information about ingredients, cookbooks and all things food. I’m an advocate of REAL food! What is REAL food? Food that doesn’t come in a box, isn’t made in a factory and as close to it’s natural form, and hopefully purchased from the farmer/producer that made/grew/raised it. Food that’s free from preservatives and chemicals, food that’s been around for hundreds/thousands of years, food that’s nourishing for your body, your soul and your community! Find me at Not Dabbling in Normal, a co-op blog with writers from around the country. Together we blog about all the things we do that are a little out of the ordinary. I’m Susy Morris, a thirty something girl who loves all things gardening, cooking, and strive to live an organic simple life. My husband will be known as “Mr Chiots” in all of my blogs. We live in NE Ohio in a small house on 3/4 of an acre with the resident chiots (the garden namesake) Lucy, who’s a lab/hound mix we got at the local point a few months after moving in. We also have collected a menagerie of cats, a few have been rescued, most of them have simply shown up on our doorstep. Some are indoor cats, some are indoor/outdoor, and one is strictly outdoor. At the moment there are four feline residents at Chiot’s Run. I like your blog a lot — and not ONLY because it makes me really hungry. If you’re interested in applying to blog for Mother Earth News magazine, please get in touch with me and I’ll provide details. Hello!! I was on Chiot’s Run and wanted to ask you a question in regards to your foaming hand soap recipe – for some reason I couldn’t send it. Anyway, I made the recipe and loved it but it seemed to seperate after a day, is that normal? Should I just gently shake before use?